The former Director of the Galápagos National Park, Arturo Izurieta, is not going quietly. In a posting on his Facebook page Saturday (April 11) he says his ouster was a "political decision." He did not elaborate further. "Though I respect it," Izurieta wrote, "I do not necessarily agree with it. However, I leave with the satisfaction of having straightened and improved many internal processes at the Park Service, and having improved transparency and relations with the community." 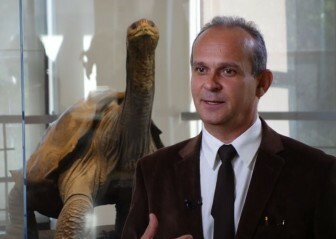 Izurieta, with doctoral and post doctoral studies in biology and park management from the Charles Darwin University in Australia, had been in the job for only a year and 8 months. "When I came here," he wrote, "I found a very well trained Park staff, both men and women, in the field, and in the office, who work hard in the four inhabited islands and remote places of our beautiful and unique islands." And while the new director Alejandra Ordoñez has a background in tourism and might be considered friendly to the industry, at least one tour operator publicly criticized the abrupt change of park management. On its website, CNH Tours wrote: "CNH Tours is a bit concerned over this development - as we have heard no reason why Arturo would be asked to step down after only 20 months in office." The site noted: "The Park Director job has in the past been a highly political one - and for a period between 2004 and 2007, 14 directors and interim-directors were cycled through the job, as local and national politicians sought to have their 'man' in the job (though after this chaotic period, it was a woman who was given the job)." Some observers offered a positive assessment of Ordoñez. "At least Ms. Ordoñez knows Galapagos," said one scientist who didn't want to be identified, "and we expect there will not be a big change in direction." 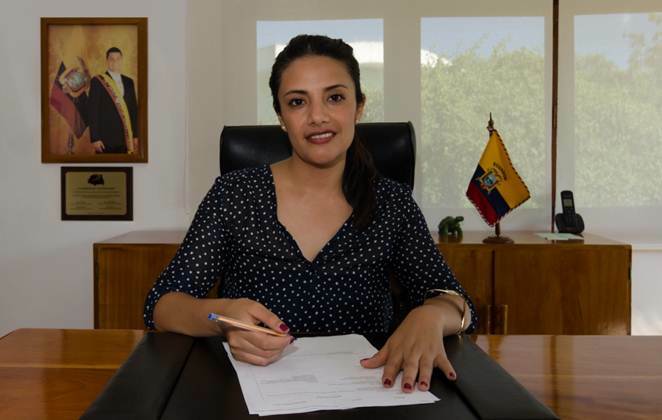 Another longtime Galapagueño who also didn't want to be named said: "Ordoñez is very bright and has a good relationship with the Minister to whom she was an advisor." The Park Director reports directly to the Minister and some of Izurieta's friends on Facebook said the appointment of Ordoñez to replace Izurieta was a case of political cronyism. "I can never accept such absurd policies," wrote one. "Arturo, it's a shame for protected areas to lose somebody like you," wrote another. And this post: "Too bad for Galápagos." In his note, Izurieta urged Galapagueños to carry on without him: "I ask all of you to continue to do everything within your power to make sure our islands and protected areas remain a world example," he wrote. "Thanks again."